Apna Sweets made only Egg Less Cakes. Apna Sweets one of the trusted shop for Pure Veg Products in Indore. Please place your order before 10 Hours of delivery*. Cake Delivery only in Indore*. Designing Charges must be Extra. If you have any Specific Design please contact us via email or telephone. The actual products may be differ from picture. Cake Store in Cool Place. 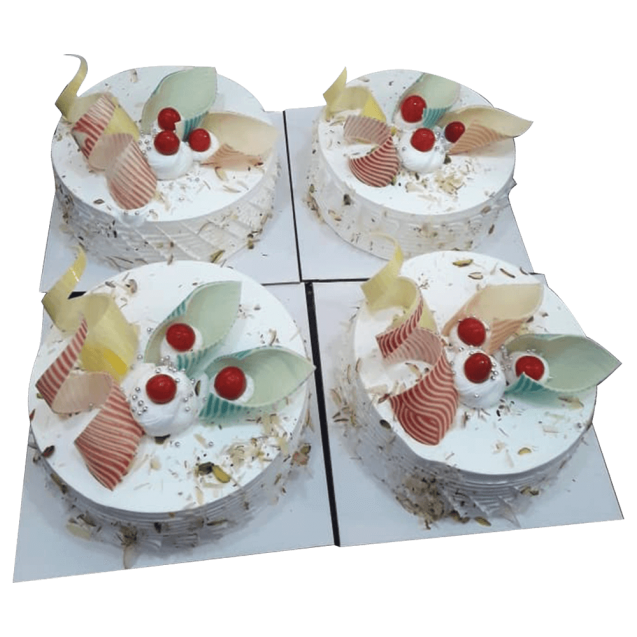 Cake Base, Cream Topping, Cake Glaze, Fruit Crush, Butter Scotch Nuts, Dark Chocolate Slab, White Chocolate Slab, Some products use for enhancement of beauty.